"If I had teens in the house ... I’d send them to at least one pro-life boot camp"
so everyone will have a seat! If I had teens in the house now I’d not only send them to church camp every summer, I’d send them to at least one pro-life boot camp during their high school years. These provide a great opportunity to build strength and confidence in the sanctity of life and also launch lifelong pro-life friendships. It’s great to see so many pro-life groups in so many states sponsoring these vital training programs for our young people. Click here for listing of boot camps throughout the U.S., including Pro-Life Boot Camp sponsored by the Catholic Pro-Life Committee and the Respect Life Office of the Fort Worth Diocese (details below). Youth For Life Pro-Life Boot Camp is offering two sessions of complete pro-life immersion for young people (high school, ages 14-17) on June 28-30 or July 26-30 at University of Dallas in Irving. More information and online registration available here. Register early by June 14 to save money! Featured speakers and performers include Kristan Hawkins, Students for Life of America (Session 2 only), Theology of the Body Evangelization Team, and The Crossroads Pursuit: Marcellino and Anthony D’Ambrosio, as well as a viewing of the pro-life short film Crescendo. Camp will also include praying at abortion centers, skits, volunteer projects and Mass. Junior staff (18-20) and adult chaperones (21+) are also needed. Special Announcement: Bishop Mark Seitz will be installed as Bishop of the Diocese of El Paso on Tuesday, July 9. A bus is being organized from the Diocese of Dallas for those who would like to attend the Mass of Installation and reception following. The bus will leave Dallas Monday morning, July 8, and arrive in time for evening vespers, and will return to Dallas on Wednesday, July 10. If you are interested, contact Deacon Doug Breckenridge at deacondoug@swbell.net. Space is limited. Adoration begins at 6 p.m., with Latin Mass at 8:00 p.m. Friday and 3:00 a.m. Saturday. Adoration ends just before the 8:00 a.m. Saturday Mass. There will be food and drink available in the evening. Security will be there throughout the night. Sponsored by Mater Dei Catholic Church. Note: These prayer vigils are typically held every first Friday of the month, usually at the Cloistered Carmelite Monestary in Dallas. Time: 6 p.m. to 8 a.m. Afternoon will include classical music for listening pleasure, paintings and sculptures to engage the eyes, a silent auction for take home art, plus culinary taste bud treats, all to benefit the ongoing life-saving work of Birth Choice of Dallas. You may also tour the museum at no additional charge for concert attendees. For more information and to make a reservation, contact Birth Choice at 214-631-2402 or click here. Sponsored by Birth Choice of Dallas. 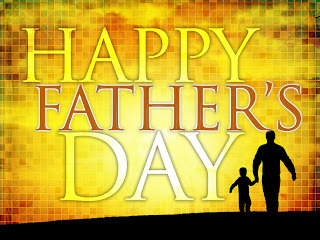 This Father’s Day let us honor the men we love who give life, nurture life and defend life. You can send a Father’s Day E-Card to your own dad or any other father you would like to honor – grandfather, husband, brother, son, friend, or a priest, for his spiritual fatherhood – and support life at the same time. With a donation of at least $25 to the Catholic Pro-Life Committee, we will send a Father's Day e-card to the father you would like to honor. Your donation will also include a $10 Amazon gift card to be sent via e-mail to your e-card recipient or you may donate the amount of the gift card to the Catholic Pro-Life Committee to further support the gift of life for other families. It's your choice! Click here to preview and order a Father’s Day E-Card. Members of a U.S. House committee approved a congressional bill that would ban abortions nationwide at 20 weeks of pregnancy. . . . During the committee meeting, [Rep. Trent] Franks amended his bill, the “D.C. Pain Capable Unborn Child Protection Act” (H.R. 1797) to apply nationwide. With this change, the “Pain Capable Unborn Child Protection Act” will be a national prohibition on abortions of unborn children who can feel pain during the abortion process. . . .
After the vote, Rep. Franks told LifeNews: “I understand the unfortunate reality that today’s markup will be surrounded by some degree of controversy. But we, as a nation, find ourselves at a point at which we don’t offer unborn children even the most basic protections — even protections we extend to animals and property.” Read entire article. Anticipating the governor's [decision to call a Special Session], the Texas Catholic Conference preemptively wrote to Perry just hours before the call, asking him to add a series of pro-life bills that had been shelved during the regular session to the call for a special session. Ensuring that any state-level health insurance exchanges established under the U.S. Affordable Care Act be prohibited from including abortion, sterilization, or contraceptive coverage as part of the benefits packages. Read entire article.